Durango Taxi like Rates to the Durango Airport, Call Buck Horn! Buck Horn Limousine is a full service transportation provider that offers both economy and luxury transportation. The Buck Horn is Durango’s oldest in addition to largest transportation company. 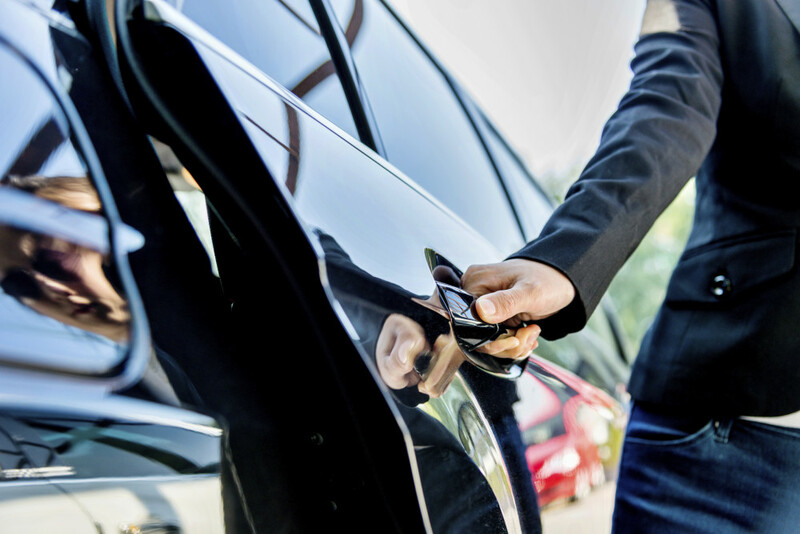 Furthermore, we are thought of as the only Durango taxi cab service, providing consistent reliable car service and affordable rates for over 12 years. 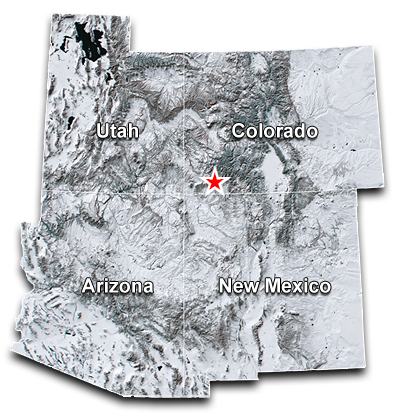 Our fleet can travel anywhere in the Four Corners area and beyond. We also offer the lowest rates to and from the Durango-La Plata County Airport. Plane-side pickup is also available at AvFlight and the Animas Air Park. Because Durango air travel and booking a Durango Taxi can be tricky, be sure to watch FlyDurango.com for changing flight information. Unlike other Durango airport shuttles or a Durango taxi service, we do not combine passengers. Buck Horn offers the lowest group rates when compared to any Durango taxi cab. Buck Horn Limousine can also assist with special events. Rent a car or van for your wedding. The Buck Horn will not let you down on your special day. Let transportation consequently be one less wedding detail to worry about. We can also be a resource to your wedding guests during their entire stay in Durango. We offer many types of vehicles to meet your needs. No Durango taxi service has a better fleet. 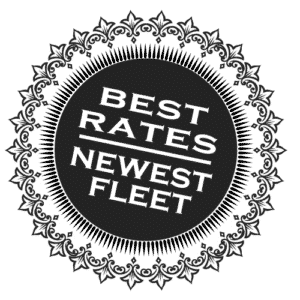 See our Fleet page for a complete list. Our Basic Car service is also called point-to-point in the limo industry. It is almost like taking a Durango taxi cab but more reliable and comfortable. See all of our Services. The Buck Horn offers the best Silverton Transportation. We also offer 24 hour live reservations and Durango taxi-like rates. 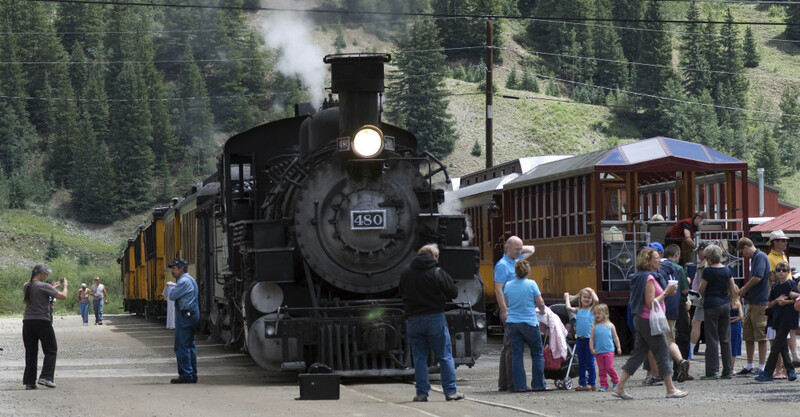 Silverton, Colorado is a wonderful place to visit for the whole family. We can accommodate you or your entire group with our Van or SUV. Buck Horn offers the lowest group rates when compared to any Durango taxi cab. During much of the year, the Silverton downtown area is a great place to walk around and explore. There are wonderful historical buildings and shops offering a wide variety of goods. The Chamber of Commerce offers a great calendar of events online. If you have the time before your trip, check out the Silverton Then & Now book. This pictorial does a great job of capturing so much of this historically rich area. Many groups visiting the area find that they have a 2-3 members that want a Colorado back country experience. Just outside of Silverton, you will also find the Silverton Mountain Ski Resort and the Silverton Powdercats. We can handle Silverton transportation to either of these destinations for you and your gear. Give us a call anytime.  Buck Horn Limousine offers a both a Private and a Shared-Ride Telluride Shuttle Service from the Durango La Plata County Airport and the Cortez Municipal Airport. Why call a Durango based company? Easy, we are based only 15 minutes away from the Durango Airport. When plans change, we can adapt quickly. Often times, winter weather can wreak havoc on travel plans. 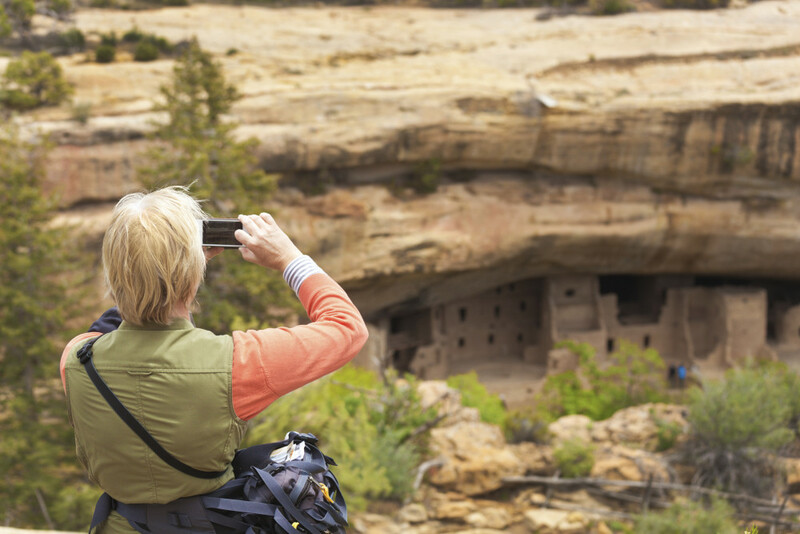 There are often some nuances in the Four Corners area that travelers might not expect. For instance, the local airports often run out of rental cars. This can cause a real problem if you did not book your rental car in advance. Also, a Durango Taxi or Uber may not be available. No need to worry, we can help salvage your plans and still get you to your destination. Typically, the trip between the Durango Airport and Telluride takes about 2.5 hours. Regardless of the size of the vehicle, we can assure you that it will be a newer model and clean. Also, your driver will be a career chauffeur. This means that they will be prompt, safe and knowledgeable. Consequently, you will be able to sit back and relax on the way to Telluride. Because Telluride is a popular destination almost year round, plan in advance. The sooner we know about your travel plans, the more flexibility we both will have. It is never too early. Many of our customers call us immediately after booking their flights. Be especially aware of the weeks and weekends around the Bluegrass Festival, Telluride Film Festival and Spring Break. Likewise, these weeks can be very busy for the entire surrounding area. Arranging Farmington Transportation is easy with Buckhorn. We service the Farmington Airport and local area. Please call for service to/from KFMN in advance. Without notice, our drivers may need over an hour to reach Farmington airport. Many visitors worry about the tedious drive into Chaco Culture National Historic Park. Buck horn can get you as well as your gear there safely. We can provide transportation for day trips or a multiple day camping excursion. Call to talk about your adventure. You will also find many helpful tips on Trip Advisor. 10 miles east of Farmington, in Bloomfield, visit the Salmon Ruins. Salmon Ruins is one of the largest Chacoan style colonies built in the 11th century. Explore replicas of a sweatlodge, hogan, tipi, and pithouse. The museum also holds ancient artifacts and interesting “new” exhibits. Buckhorn can take you to and from the Ruins easily. Buck Horn will meet all of your Farmington transportation needs with ease. Call us anytime to talk about your trip. We would also love to offer our helpful insight on any or all of the Farmington area attractions. Your Pagosa Springs Transportation can be professional and reliable with Buck Horn Limousine. Easily reach your Pagosa Springs destination from any of the surrounding airports. We offer cars, vans and SUVs to fit your needs. We also can take you or your group on excursion around the area. Check out the Pagosa Springs area Chamber of Commerce website to see everything that the area has to offer. Buck Horn offers the lowest group rates when compared to any Durango taxi cab. hike, bike, raft or go horseback riding. Fishing and Camping are also great choices. 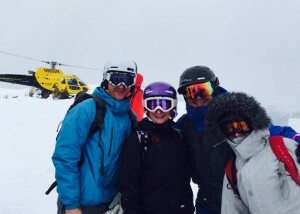 For winter trips, be sure to check on the Wolf Creek Ski Area. They get the most snow in Colorado. 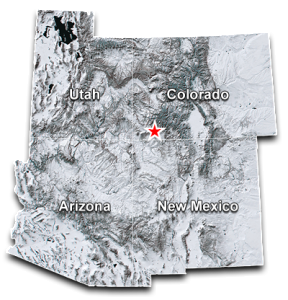 We are often traveling between Farmington, Telluride, Durango and Pagosa Springs and the surrounding airports. We offer fixed, flat rates to all points in the Four Corners. Final charges will be based on the vehicle’s odometer reading or actual ending time. First class organization, driver, vehicle. Will definitely use Buck Horn again! 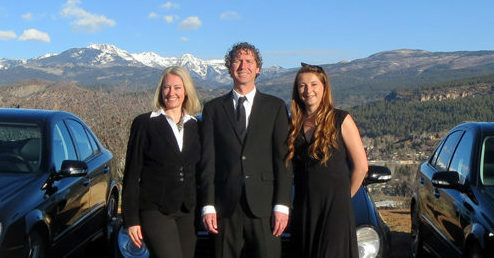 Buckhorn limo provides an amazing experience every time I call never late and always clean unlike other services around town in Durango, or Telluride CO. #1 recomended transportation for any person in need of a ride in or out of town or even just for a Buckhorn ride from the airport to the Strater Hotel a truly historic Durango, CO. experience. Thanks to the Buckhorn for always being there when you need a ride. Honest, consistent pricing. Good communications, polite and well dressed. Great experience on our trip to and from Durango! I always took taxi cabs for granted living in larger cities. In Durango, the Buck Horn is the only company that you can count on to show up!! The Buck Horn has never let me down getting home from downtown or catching flights at the airport. Thank you! Our family had an enjoyable ride back to Silverton and I thank Ron for his conversation about happenings in the area. I think Jasmine was my driver's name both times this past trip. She signed the receipt JB. Great driver, super friendly, and we had a fun conversation also. I didn't know what time I would be finished with my hearing, but when I called for a return pickup, she was there within 15 minutes. I appreciate the super prompt service and great attention. Dave, All of your drivers are great! Always courteous and helpful. And of course I love to do business with folks that know me. The Buck Horn Limousine was a wonderful service for our sons wedding. They were courteous, helpful, prompt and considerate of our guests with disabilities. They drove our guests from the hotel to the wedding and then to the reception and back to the hotel. The driver was wonderful! Mark was so friendly and very professional! Every time I call Buckhorn, they send the car/SUV on time whether it's my house or the airport. The drivers and dispatch callers are very friendly and help you to move the luggage from the pick up to the car. very flexible on scheduling and they will somehow accommodate your request. Scheduling on the phone is easy and fast service. Jasmine does a great job transporting my daughter. Thank you! Awesome! Great service, prompt and professional drivers. I broke my wrist in Durango while my family was skiing, Buckhorn was the only company to show up to get me to urgent care, not only did they take me there (and showed up fast) but Mikey stayed and filled out all my paperwork at urgent care since I couldn't write! He was so thoughtful and I am so thankful for Buckhorn coming to my rescue. One of my Lucky Assistants needed a last minute ride out to the airport to pick up a car, wash, and deliver to the owner's home. Buckhorn offered great service, great pricing, clean vehicle and a friendly driver! Lucky Services will definitely be calling Buckhorn again the next time we need a taxi ride!! Buck Horn is my go to for a night out on the town with friends and family. All the way back to when they had the Wagoners. They picked my freids and me up on time. The driver was very neat and professional. When we were ready to go home they were just a phone call away. You can't beat the superior service, and luxury of Buck Horn. I used Buckhorn twice during my trip to Durango and cannot say enough good things about the experience. First of all, both drivers were courteous, punctual, and went out of their way to show me interesting sights along the route, telling me about Durango history and current affairs. They were friendly, but allowed me some quiet time as well and did not chat my head off. The vehicles were spotless inside and out. Both drivers were good, safe navigators in the crazy Durango traffic. I should also mention that scheduling my rides on the phone was easy and whoever answered picked up at once. I think the fare charged was reasonable for the value I got. Thank you! Service was amazing, and our driver was very friendly and helpful. She gave us lots of information on things to do and see in Pagosa. We had heard from friends how reliable and reasonably priced Buckhorn Transportation was. For our vacation over the holidays, rather than leave our car in the lot at the airport, we decided to try Buckhorn. Cliff picked us up ON TIME at 4:45 a.m. Christmas eve. WOW! He got us to the airport in fine fashion- good driver, courteous. and professional When we came back, our driver (I forget his name, sorry) was right on time at the airport. He also was professional, a good driver, and courteous. We would DEFINITELY use Buckhorn Transportation again! There is a certain amount of faith in a ride to the airport to catch a flight..in terms of showing up punctually...much less if at all. Buckhorn (Tanya) and I planned and verified for a departure by both internet and phone and I was not let down. Our driver was backed into driveway with trunk open before I even looked outside. "Actions are louder than words"...and i can recommend Buckhorn on both counts. Dependable and on time. Driver was pleasant and I enjoyed our conversation. I will certainly use BH again. The service was excellent, the driver was very courteous and informative about the area. Would highly recommend your services. Tanya - Our limo ride was perfect. Both drivers, Jasmine & Brad, were on time, friendly and most importantly - safe drivers. When we come next year we will use your service again. Again, thank you. I would DEFINITELY use again and highly recommend Buckhorn Limousine to my friends. I had to go across town to pick up a repaired car when my friends could not help out and Ron responded promptly and delivered me to the garage quickly and efficiently. He was friendly but not overly chatty. Great experience. I've used Buckhorn for years, because it such a wonderful, professional service. We used it last night (05/12/16) and I listed Dave as our driver, but actually can't remember the driver's name. Just this morning, by boyfriend (Ralph Crawford) made the comment that the driver was very nice, friendly and communicative. Thank you for giving us a safe mode of transportation. Amazing! Friendly and prompt service. Very professional. Excellent service and price, thank you! I have used you periodically through the years while I lived in Durango and now that I moved and will be visiting I'll probably be using your services more. Also have several friends that use you often and it's always been great. Jasmine was on time, and very helpful. She was friendly and helped make our trip very positive. THANKS Jasmine!! Tanya was extremely helpful and prompt as Buckhorn Transportation provided our services as our wedding transportation. I most definitely would recommend this to anyone searching for transportation within Durango and surrounding areas.